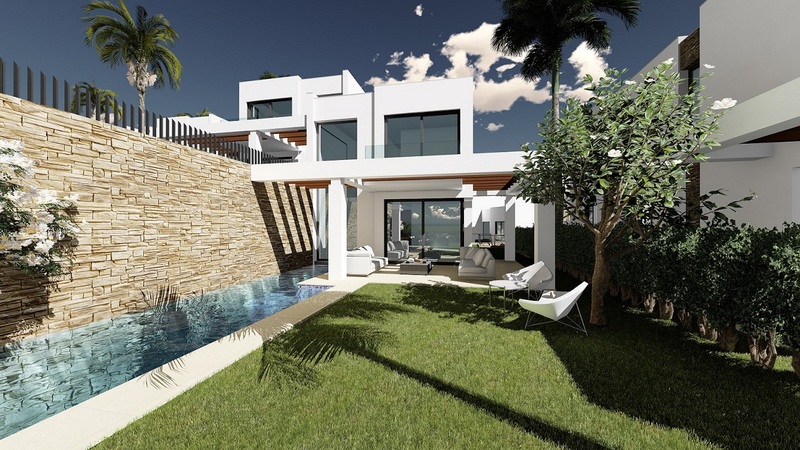 A luxury development under construction of 14 contemporary villas in the sought after Cabopino Golf area. Each villa has 300m2 of living space giving you the choice to opt between 4 and 7 spacious bedrooms. Double high ceilings and floor to ceiling windows giving lots of natural light and the best of views. Garage and cinema room in the basement. Built to high quality specifications with the latest materials and technologies. Front line golf positions with breath taking golf, sea and countryside views and walking distance to the vibrant Cabopino harbour and it’s restaurants, bars and beach. Private gardens and pools ,beach volleyball court, golf practice facilities and over 6000m2 of tropical gardens. A truly impressive development, book an appointment now to find out more about these dream homes.